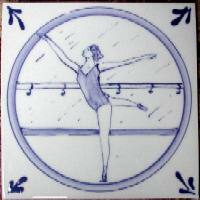 There are many possibilities with these 6" x 6" Delft-like images. We are happy to work with your ideas. We once made an entire kitchen wall with a client's favorite flowers in this style.